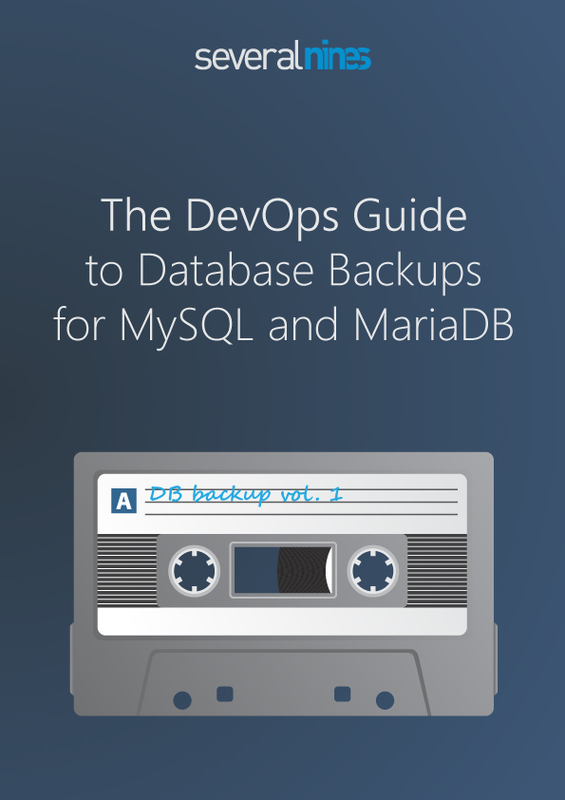 This week we’re happy to announce that our new DevOps Guide to Database Backups for MySQL & MariaDB is now available for download (free)! This guide discusses in detail the two most popular backup utilities available for MySQL and MariaDB, namely mysqldump and Percona XtraBackup. Topics such as how database features like binary logging and replication can be leveraged in backup strategies are covered. And it provides best practices that can be applied to high availability topologies in order to make database backups reliable, secure and consistent. Ensuring that backups are performed, so that a database can be restored if disaster strikes, is a key operational aspect of database management. The DBA or System Administrator is usually the responsible party to ensure that the data is protected, consistent and reliable. Ever more crucially, backups are an important part of any disaster recovery strategy for businesses. So if you’re looking for insight into how to perform database backups efficiently or the impact of Storage Engine on MySQL or MariaDB backup procedures, need some tips & tricks on MySQL / MariaDB backup management … our new DevOps Guide has you covered.